Click on the image of the map below to open the free PDF file! If you want to download the free PDF file, click on the right mouse button (at touch displays long press), select -Save Target / Link ...- and the PDF Map will be stored for offline use on your smartphone, tablet or PC. The map is also well suitable for a printout on A3 page format. If you only have an A4 printer, simply use the button further down to open the A4 version. 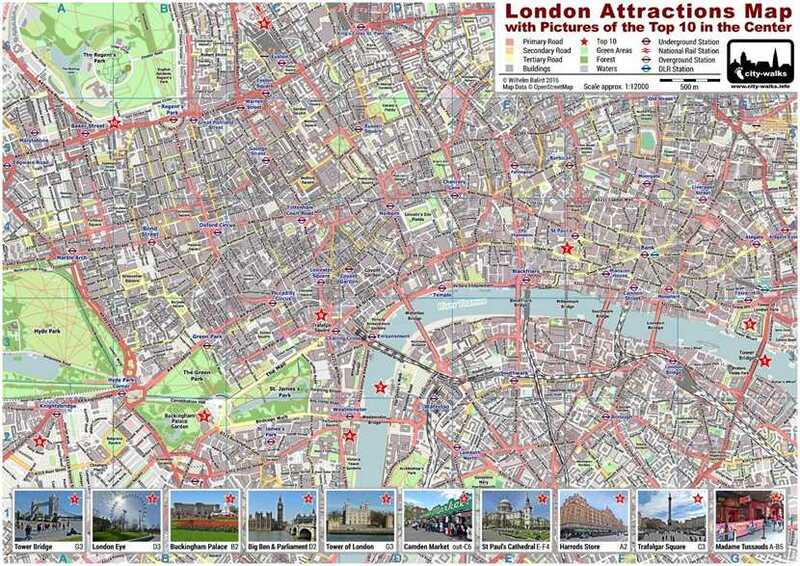 This PDF map of London is a helpful companion on your sightseeing tour to the top 10 attractions of the city. 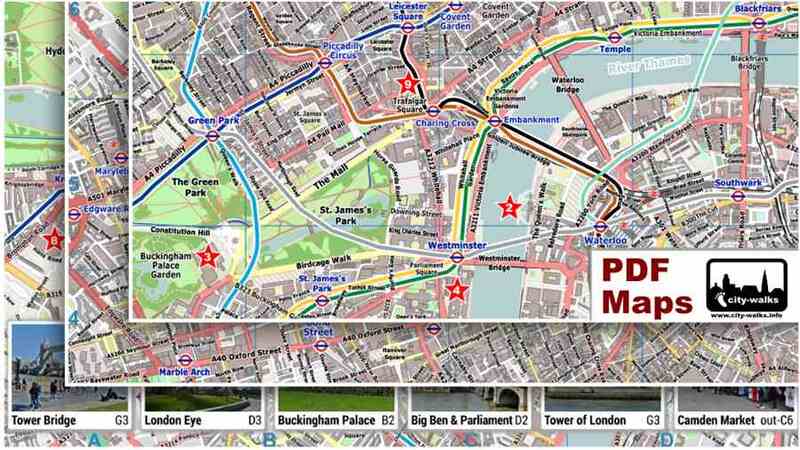 It shows you clearly the locations of the most popular sights and so you can simply choose your favorite route through the streets, squares and parks in London. The distances in the huge center of the city can be sometimes too far to manage it on foot. In this case just go to one of the marked tube stations and you will get much faster and without too much effort to your next destination. If you want to print the city map, you should use the full-page variant from above only together with A3 page size. For A4 page size click on the button below to open the two-page printable A4 version.